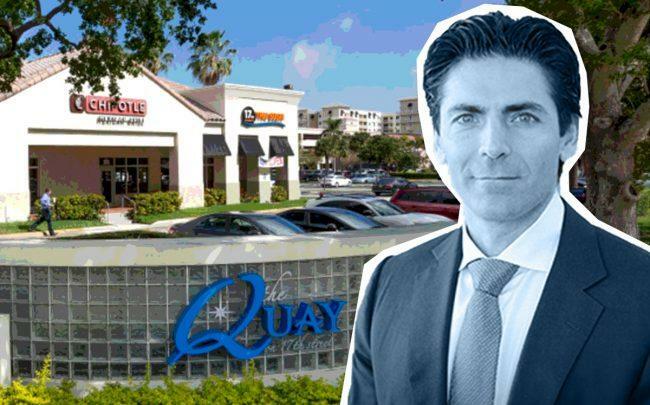 Mast Capital paid $43 million for The Quay, a waterfront mixed-use shopping center in Fort Lauderdale, marking the Miami developer’s first big investment in Fort Lauderdale. The company purchased the 73,000-square-foot shopping center at 1515 Southeast 17th Street for $589 per square foot, according to a press release. The property is currently 100 percent leased, with tenants including Boatyard restaurant, United States Postal Services, and Chipotle. The 6.97-acre site also includes a marina and a two-story office building. The property is close to Pier Sixty-Six Hotel & Marina, Port Everglades and the Greater Fort Lauderdale/Broward County Convention Center. Mast Capital bought the property from Hudson Capital Group and financed it with a loan from CIT bank, according to the release. Roberto Susi of Axiom Capital Advisors brokered the deal. Records show Hudson Capital bought the property in 2007 for $34.8 million. The shopping center was built in 1988. The deal shows the growing demand for commercial properties in Fort Lauderdale. Many developers are moving to the Broward County city due to the strong job market and growing population. Land costs in Fort Lauderdale are also cheaper than in Miami. Led by Camilo Mast Jr., Mast Capital is also developing the Miami River Walk, a mixed-use project with 688 residential units. The firm also owns the Conrad Hotel Brickell, and 3811 Shipping Avenue, which will have 254 apartments. Since 2010, Mast has completed 17 deals with total projected capitalization of about $1 billion. In August, Mast Capital sold a historic French chateau at 1500 Brickell Avenue for $6.25 million, where it planned to bring an Italian restaurant.